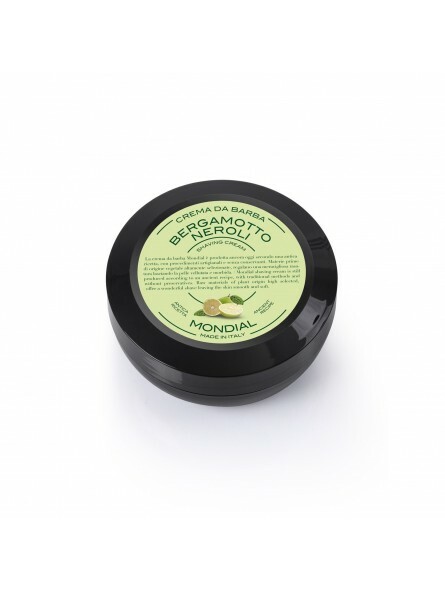 Mondial Bergamot Neroli Shaving Cream Wooden Bowl 140ml. Neroli Bergamot; essential energy. 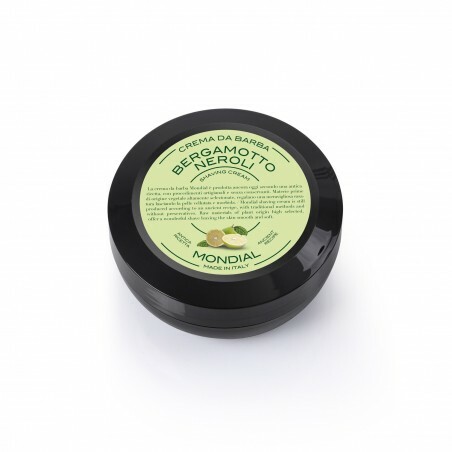 The essence of bergamot is obtained by the squeezing of the unripe fruit. Its solar aroma is able to soften the emotional excesses, to encourage self confidence, to make the interior energy emerge and it may be an excellent elixir for an enthusiastic awakening. It smoothes strains and it has a revitalizing effect on the psyche.